Finest grains floating in the water are called suspended matter. They naturally occur in rivers and make water cloudy. Suspended matter occurs due to erosion and flooding of solid particles during rainfall, in particular after heavy rainfall and flood events and when sediments are stirred up. Suspended matter consists of minerals and organic substances. The composition and source of suspended matter changes with seasonal precipitation. 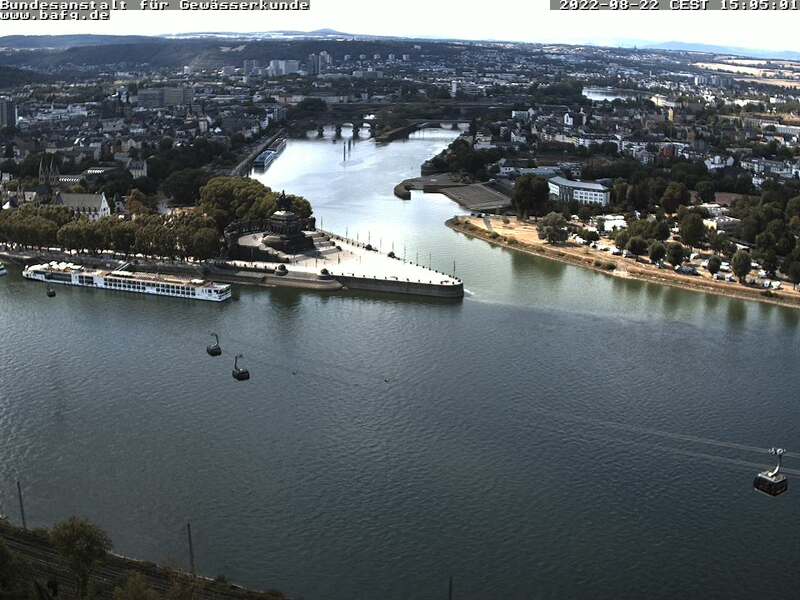 The photo (source: BfG) shows cloudiness of/suspended matter in the Rhine near Koblenz at the confluence of Rhine and Moselle after heavy rainfall (thunderstorms) upstream. You can follow the current situation with a webcam (BfG). Suspended matter contents (1995 - 2015, annual average) at three monitoring stations between Basel and the German-Dutch border.